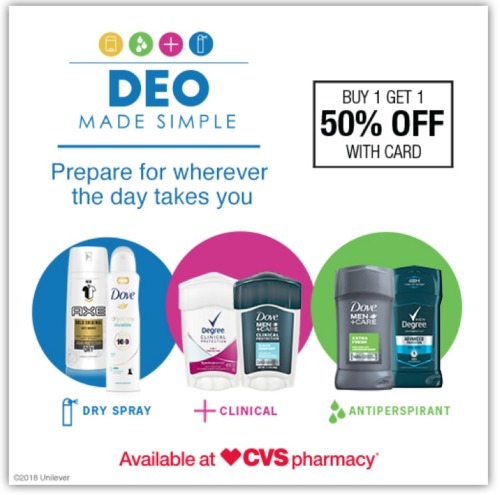 This week at CVS you can get a good deal on great deodorants. This is one personal care item that what you use really does matter. Do you have a product that can handle a big job interview or an intense workout session? 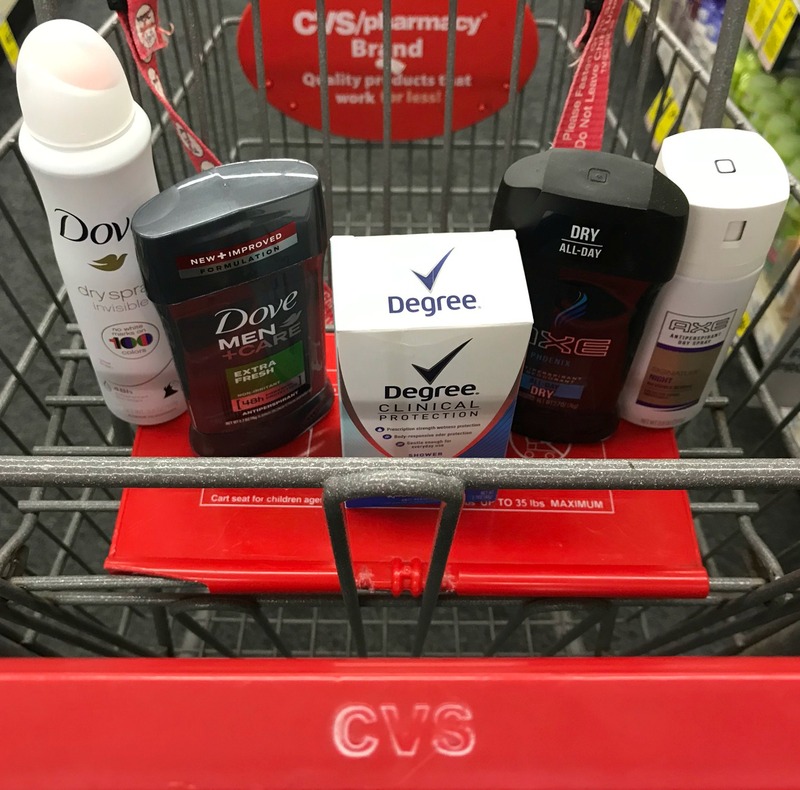 You’ll get $2 ExtraBuck Rewards when you buy any (2) AXE, Dove or Degree Deodorants. There is also a coupon printing at the CVS coupon center and they are on sale B1G1 50% off. 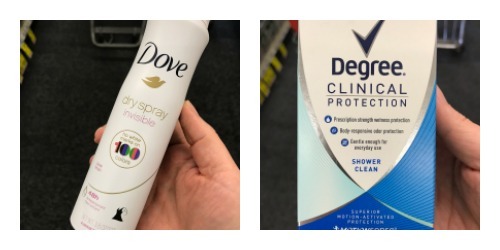 I’m either a Degree Clinical or Dove Invisible Spray girl, sometimes alternating in the same week. It all depends on whether I’m heading out for a run or putting on a dress for church. Degree Clinical offers 5-in-1 protection that is the best I’ve found for workouts. The Dove Invisible Spray works up to 48 hours and leaves no marks on any colored fabric. See more details on all the brands on sale this week. Remember these sales are this week only at CVS.